From 30th December 2008 all properties, homes and commercial, when constructed or being marketed for sale or rent require an Energy Performance Certificate (EPC). If you are selling or renting out your property, either privately or through an agent, you must have an Energy Performance Certificate (EPC) for that property. 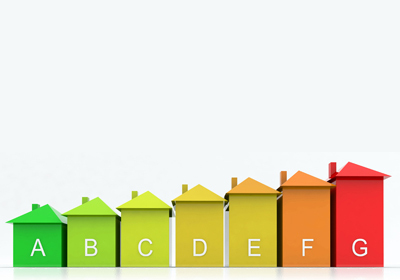 The EPC must be produced by an accredited energy assessor. The property will have to be inspected by the accredited energy assessor, in order to produce the EPC, and they will use information such as type of construction, heating system and lighting. This type of information will determine the EPC rating. An EPC is needed even if there is no heating system or services such as in commercial retail or warehouse units or incomplete dwellings. The EPC details of a property will be included on all advertising materials such as brochures or on the website. This will include a colour coded bar chart with a scale of A to G, which will show the energy rating of the property. A is very good, which means the property will be less expensive to run. G is very poor which means the property will be more expensive to run. The EPC will also come with cost effective recommendations to improve the energy efficiency of the building.